Larry Killip has been in the music industry for a long time and a member of many groups, some of which are mentioned below. He is still actively playing today. He started out in 1965 with a group of school friends in a band called Zarks. In 1968 they changed their name to Omnibus. 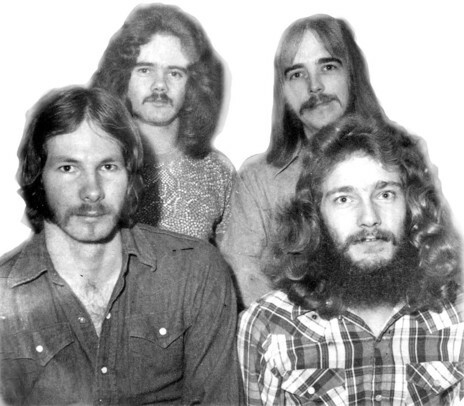 When that group disbanded in 1971, Larry and Denis Winters, who had played drums in both of those groups, formed a new group called Denver. When Humble Pie disbanded in 1968, Barry Gill went to Australia. He returned to Auckland in 1971 and joined his brother Graham, who had earlier been with the Dallas Four, and they teamed up with Larry and Denis in Denver. Larry was on lead guitar and Denis 'Tub' Winters, continued on drums. Barry played bass and Graham played rhythm guitar. Denver gigged at the Montmartre, but only lasted about three months before disbanding. Crossroads came next and this was followed by Killip in 1972. Killip had Larry on guitar and vocals, David Wright on bass and vocals, Pete Baylis on rhythm guitar and vocals, and Denis on drums. This was the first time Larry recorded and Killip released a single on Phillips in 1972 called "Home"/"I've Got Time". In 1973 two further singles were released on the Family label, "Country Pickin' "/"Sunshine Town" and "Taken Back To Mother Earth Again"/"You're Fine". Larry also appeared on TV's "Studio One" in 1973 and sang "Country Spring". Starbow came along somewhere after this, and in the early eighties he formed Larry and the Ladders. This was an Auckland based trio and included Larry on guitar and vocals, faithful Denis on drums and Greg O'Donnell on bass. Greg had previously played with Music Convention. They released two singles, the first for Ripper Recs in 1981 was "Looking For An Answer"/"Finally Woke Up" and the second on RCA 103996 in 1982 "She Came (Turquoise Eyes)"/"Freeway Bite". Rock Me Bananas was another group he was involved in. For further information on Larry, have a look at his own website at Larry Killip.